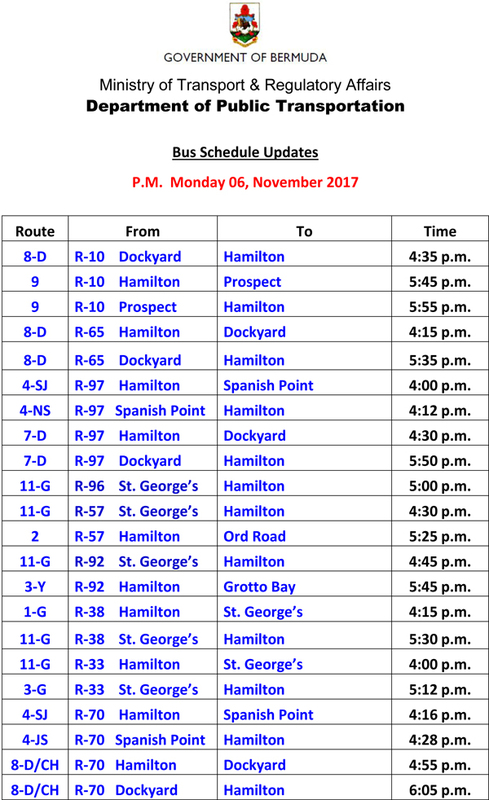 The cancellation of bus runs continue, with the Ministry releasing a list of bus cancellations for this afternoon [Nov 6] with twenty-two bus runs cancelled. And they talked about transparency. Haven’t heard a peep of an update. Select mini buses are smiling though. Can you imagine London, NY, Tampa, Atlanta, Fredricksburg posting something like this. Why don’t we get a list of the buses running, it will probably be shorter. Get what you vote for!